My father died ten years ago today. The little girl here is his eldest Granddaughter now studying at Oxford Uni. Blessed be. WAS THIS A REPTILIAN ENCOUNTER? HAS AMERICA A KILLER INSECT? IS THIS AN ALIEN BODY? DO SASQUATCH CUT THEIR HAIR? WHEN IS A JACKAL NOT A JACKAL? DID UFO CRASH IN MONTANA? 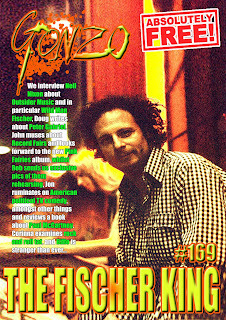 Wild Man Fischer is on the front cover, together with an interview with Neil Nixon about Outsider Music in general and Fischer in particular inside. 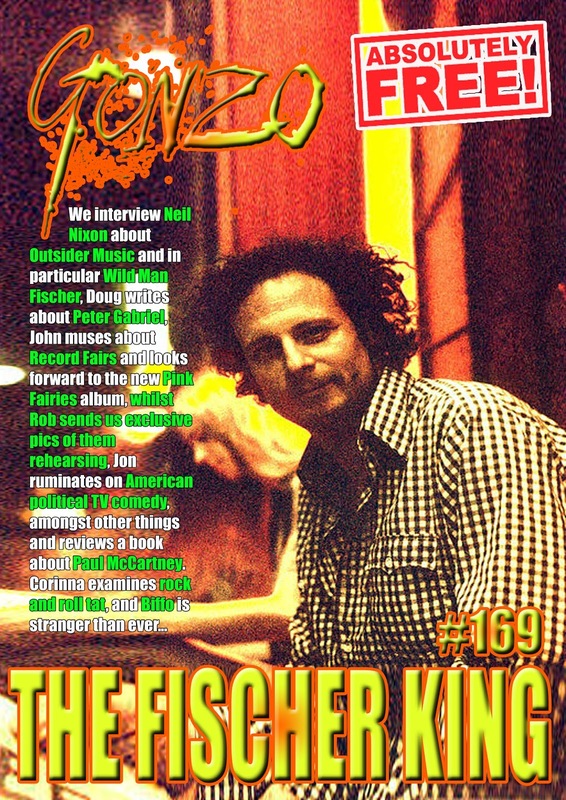 John Brodie-Good writes about Record Fairs and the forthcoming Pink Fairies album, whilst Rob Ayling was behind the scenes of a recent PF rehearsal, camera in hand. Doug writes about Peter Gabriel, while Jon gets all intense about an American political comedy, and reviews a book about Paul McCartney. There are radio shows from Strange Fruit, and Mack Maloney, the latest installment of the saga of Xtul, and columns from all sorts of folk including Roy Weard, A J Smitrovich, Mr Biffo and the irrepressible Corinna. There is also a collection of more news, reviews, views, interviews and pademelons outside zoos(OK, nothing to do with small marsupials who have escaped from captivity, but I got carried away with things that rhymed with OOOOS) than you can shake a stick at. And the best part is IT's ABSOLUTELY FREE!!! ON THIS DAY IN 1895 - Oscar Wilde's final play, "The Importance of Being Earnest," opened at the St. James' Theatre in London.